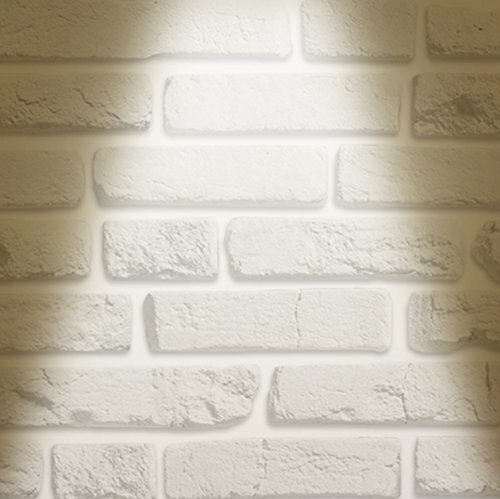 Product Size: D 11" x H 3 3/4"
IN HOME MS series 'Mushroom' fixture is ideal for commercial or residential indoor using. You can apply it for new constructions or remodels. Possible using at kitchen, bedroom, bathroom, dining room, hallway, entry, foyers, restroom, closet, attic, basement, garage, utility room, work areas, commercial environment. This fixture is also suitable for office, corridor, balcony or any another commercial using. 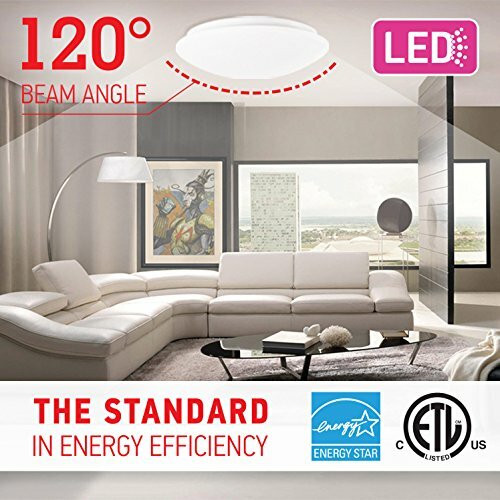 ETL is qualified for Safety, Energy Star is qualified for energy saving and real life-span 35,000 hours. 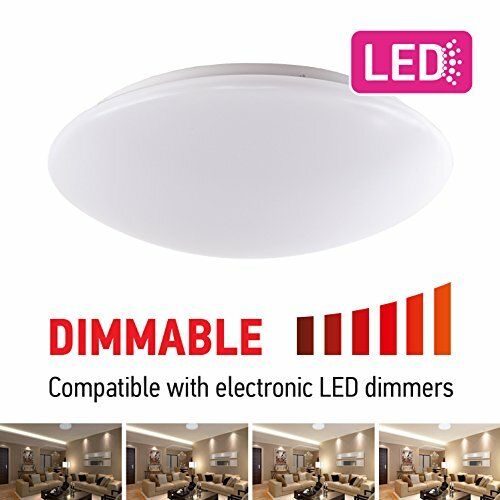 DIMMABLE - Create the perfect ambiance thanks to smooth dimming capabilities from 10-100%, without flickers or humming. Compatible with most LED dimmers. 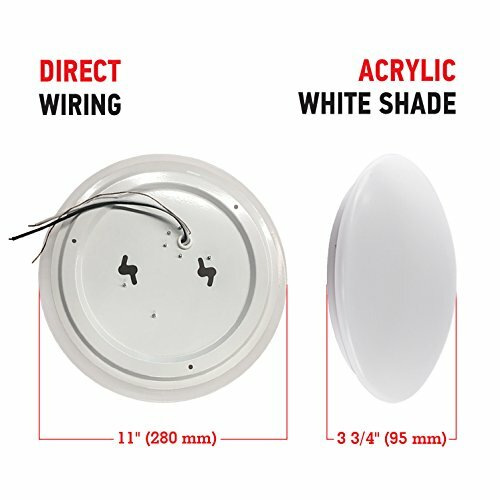 EASY INSTALLATION - Our fixture comes with an acrylic white shade which reduces the weight of the ceiling light. No extra spending on labor or tools, simply attach to the outlet box. Surface mount fixture. Must be hardwired, there is no switch or plug on the fixture itself. 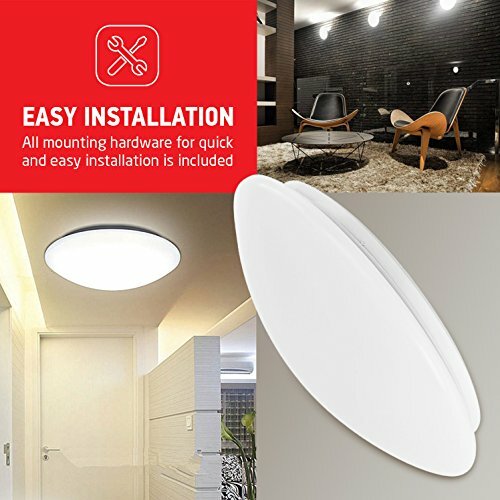 All mounting hardware for quick and easy installation is included. 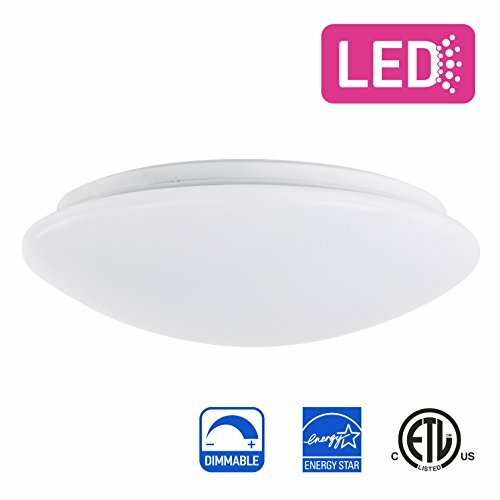 SAVE ENERGY - Integrated LED chips virtually eliminates the need to replace the bulb. 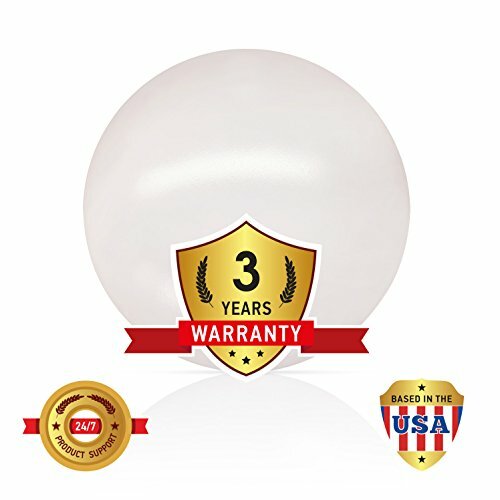 With a lifespan of 35,000 hours (or 32 years with 3 hours of use per day) replacing your bulbs is now a thing of the past! 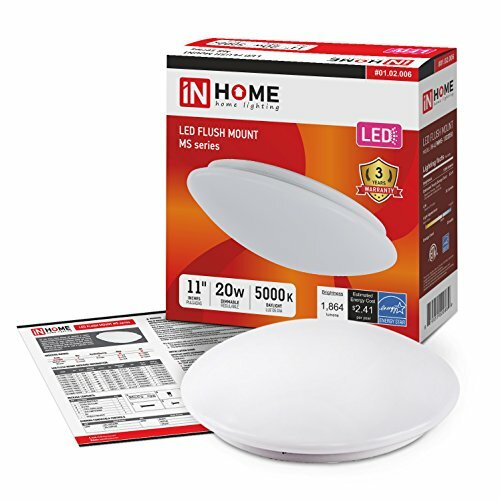 Our LED Flush mounts use only 20 watts while producing 1,864 lumens. CERTIFICATION - ETL and ENERGY STAR certified for top quality standards and safe operation. Our product does not contain UV, infrared or other radiation emissions. Suitable for dry locations. 3-year limited warranty. If you have any questions about this product by OSTWIN, contact us by completing and submitting the form below. If you are looking for a specif part number, please include it with your message.